Since the story broke last week that Fitbit was buying Pebble, coupled with the news that Apple Watch sales are apparently tanking and Motorola is stepping away from smartwatches, I've seen a lot of people proclaim that "wearables are dead". I'm sorry, but I'm not buying that. Now you might think I'm saying this because I'm the editor of a site dedicated to writing about wearable tech. But I think that puts me in a better position than most to tell you that we are not witnessing the death of wearables. Yes, Pebble was the poster child for wearable tech, a startup that raised millions of dollars through crowdfunding and built a series of smartwatches, growing a very involved community along with it. We were all disappointed to find out that Pebble was no more. But Apple Watch sales in decline? Tim Cook certainly doesn't think so. While I accept that IDC's coverage of our Wearable of the Year, the Apple Watch Series 2, doesn't bode well, I'll refer to what our features editor Sophie recently said on the subject of smartwatch sales: "Smartwatches can be a thing without selling in smartphone numbers." What I'm trying to say here is that there's a lot of talk about smartwatches and their supposed failure to replace our smartphones, but last I checked, smartwatches were not the be all and end all of what we write about and cover on a daily basis. That very same analyst report from IDC was a clear reminder of that. Wearables are still doing alright. As has been the case for some time, fitness trackers continue to lead the charge through Fitbit, Garmin and Xiaomi. Back in September, we reported that 9.5 million wearables were sold in just three months in China. That included everything from smartwatches to kids' watches and smart shoes. What these so called wearable naysayers need to get out of their system is thinking wearables are defined by the success of smartwatches – because they're not. Maybe smartwatches will go the distance, maybe they won't. There will be people who will never get used to the idea of wearing one – but I know there are others who yearn for a certain connected element yet feel like it's not there yet. 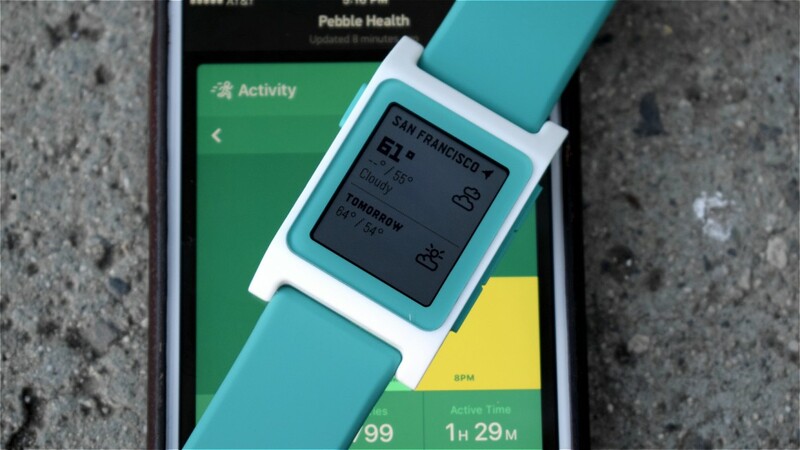 Fitness gives the classic Pebble a second lease of life, but will it be enough? Don't let this talk of Apple Watch sales and Pebble's death take away the truly innovative advances that are being made here and simply aren't happening anywhere else. We're not talking about sharper screens or more RAM. We're talking about tech that's making us fitter and healthier. Tech that's genuinely changing lives and saving lives too. Smart jewellery is keeping women safe, researchers have flocked to Fitbit in the fight against disease. VR has already proved in just a short space of time that it's about so much more than gaming. Wearable tech is in a really great place right now. So the next time you see a story about declining smartwatch sales and think this is another nail in the wearable coffin, we can tell you now, things are very much alive and kicking.